Prime Minister Justin Trudeau and the Canadian government will host Women Deliver, the largest gathering in history to explore gender equality and the health, rights and well-being of girls and women, next June in Vancouver. Meanwhile Global Affairs Canada, led by Foreign Minister Chrystia Freeland and the Minister of International Development Marie-Claude Bibeau, recently announced it will spearhead a feminist approach, including contributing generously to the conference. Will the government be qualified to wear the feminist label next June — or could it be accused of “pink washing” its 3½ years in power? As one of the first countries, along with Sweden, to explicitly label its international co-operation policy “feminist,” Canada has been assessing the financial and humanitarian impact of the United Nations’ proposed sustainable development goals explicitly through a feminist lens. This year’s Global Affairs dialogue on nuclear arms control and disarmament is also taking a feminist perspective. The federal government has condemned attacks on sexual and reproductive health; addressed sexual misconduct in the Canadian Forces; and valiantly tried to ensure fifty per cent of the members of cabinet, the House of Commons and the Senate of Canada are women. A more feminist “whole of government” foreign and defence policy, however, would refrain from increasing the defence budget by a staggering 70 per cent, as Defence Minister Harjit Sajjan has done, under pressure from U.S. President Donald Trump on allies to spend more on defence. It would abide by the new international Arms Trade Treaty and scrutinize why Canada is now the second-largest arms trade dealer in the Middle East, on the strength of its export of light armoured vehicles to the autocratic Saudi Arabian government. 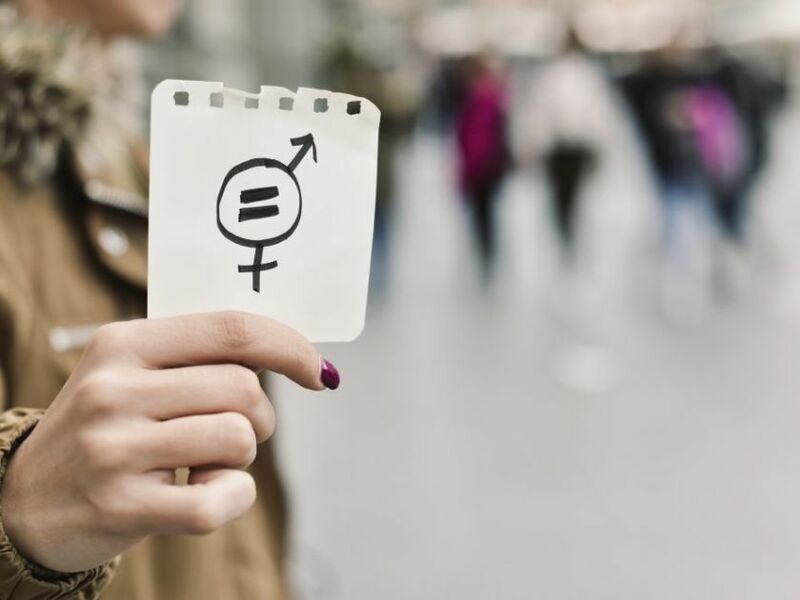 A truly feminist development policy would ensure 0.7 per cent of our nation’s gross national income (GNI) goes to development, a target set in the 1960s by the the Pearson Commission on International Development, led by Canadian Nobel laureate Lester B. Pearson. Despite its growing Brexit woes, the U.K. has achieved the target of 0.7 per cent of GNI. Norway and Ireland exceed it. Canada is spending only 0.26 per cent of GNI or about a quarter of a cent on every dollar of the country’s income to make the world a better place. Many Canadian citizens polled falsely believe the government spends a whopping 26 per cent of its budget on international co-operation or 26 cents of every dollar we spend. Clearly, we think Canada is far more generous than it is. Commonalities between boomers and millennials are bringing about more widespread acceptance of feminist ideals. Although we cannot choose the colour of our skin or our genitalia, we can choose how we think and feminism is a way of thinking. Many men, such as Justin Trudeau and former U.S. president Barack Obama, have declared themselves to think as feminists. But feminism, we must remember, is a means to an end, not the end itself. Feminism is the route toward the world to which we aspire. The goal is a world that does not need feminism or poverty eradication. This will be a world where “no one is left behind,” as outlined in the UN’s sustainable development goals. Striving toward a post-feminist, post-poverty, post-climate crisis world entails valuing connectivity, equality and improved inter-human and inter-species relations. Feminists try to uproot inequality, tip unequal power relations and mend differences among classes, races, sexes and species. Intersectional feminism, which connects feminism with other movements to work toward common goals, is based on taking action to affect these needed changes equipped with benevolence, justice and non-violence. Men and boys, as well as women and girls, should strive to live in a post-feminist world freed of the chains of patriarchy. So have Trudeau and Bibeau taken substantive action toward these universal goals? Through the G7, Canada is contributing more than $300 million to projects that will ensure gender equality and benefit women and girls. Bibeau’s contribution led the other G7 countries to contribute a total of more than $3.8 billion. The money Bibeau has in her kitty, however, is small compared to the defence department’s rapidly ballooning budget and is dwarfed by the government’s purported plans to spend billions on fighter aircraft. It is telling that on average, ordinary Canadians give about 0.8 per cent of their annual income to make the world a better place. The four Atlantic provinces have the highest rates of giving; women give more than men; the old give more than the young; the religious more than the non-religious; university grads more than those who didn’t attend; and one in four Canadians say they volunteer at least four hours a month, a form of giving that is not only about money. If the Trudeau government wants to avoid being accused of patriarchy, penny-pinching and pink-washing next June, it would do well to support cabinet ministers like Bibeau and raise official development assistance from 0.26 per cent toward 0.7 per cent of its rapidly growing GNI. Erika Simpson is an associate professor of international politics at Western University and her brother Michael Simpson is executive director of the British Columbia Council for International Co-operation.